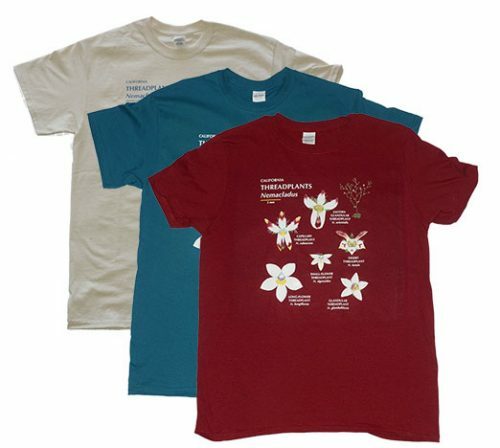 This Tshirt honors the oak trees known to occur in California with an illustration of a leaf from each of the 10 species found in the State. If you are an oak fan, this shirt is for you. 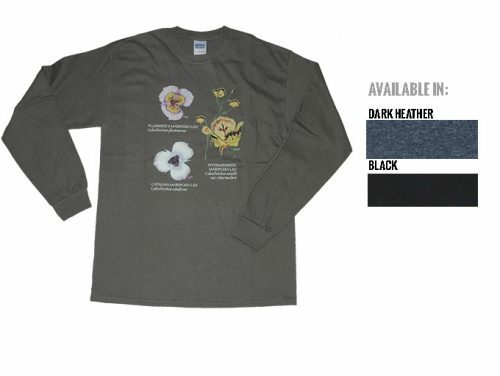 These are screen print pre-shrunk Gildan Tshirts with white ink over dark shirts and dark brown ink over the light colored version. The original art work was used in the 1995 book, Illustrated Guide to the Oaks of the Southern Californian Province and will appear again when the next edition of the book is released.